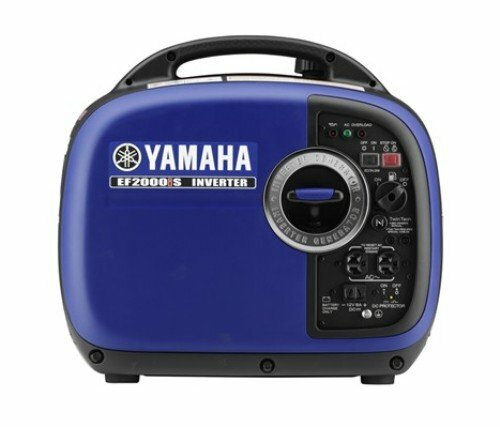 Powerful, portable, and efficient, the Yamaha EF2000iS Gas-Powered Portable Inverter delivers maximum electrical output without sacrificing portability. Thanks to its innovative inverter system, the generator is able to generate up to 2,000 watts of clean AC power. It can run up to 10.5 hours continuously without refueling and uses premium technologies to maximize fuel efficiency. Compact and ergonomic, the EF2000iS is easy to store and transport. The EF2000iS is built around an innovative inverter system, which is able to deliver higher-quality, cleaner electricity than competing generators. It produces energy in the form of pure sine waves, which are cleaner and more reliable than most commercial power sources. In simpler terms, this means that you'll be able to confidently power delicate machinery without having to worry about the damage caused by unrefined energy. An electrical overload breaker is also included, to prevent generator damage in case of an unexpected overload. The EF2000iS is exceptionally fuel efficient, able to run for up to 10.5 hours without refueling when in Economy mode. Its OHV engine runs reliably and dissipates heat efficiently, allowing for both a long life and optimal fuel consumption. Store: carlockautoparts Condition: Brand New Price: $1295.00 Total Price: $1295.00 Buy It from carlockautoparts No returns. Store: Jimmys Jet Sports Condition: Brand New Price: $1199.00 Total Price: $1199.00 Buy It from Jimmys Jet Sports No returns. 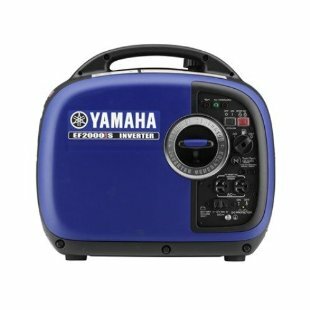 Yamaha EF2000is 2000 Watt Inverter generator fast shipping. Store: MEGA POWER SPORTS GAYLORD Condition: Brand New Price: $1099.00 Total Price: $1099.00 Buy It from MEGA POWER SPORTS GAYLORD No returns. Last updated: April 21, 2019 at 00:09 EST. Pricing information is provided by the listed merchants. GoSale.com is not responsible for the accuracy of pricing information, product information or the images provided. Product prices and availability is subject to change. Any price and availability information displayed on amazon.com or other merchants at the time of purchase will apply to the purchase of the product. As always, be sure to visit the merchant's site to review and verify product information, price, and shipping costs. GoSale.com is not responsible for the content and opinions contained in customer submitted reviews.